Tone Machines Blog: Octave Beauty! Back in 1990 I was working with Jim Gamble, who was the cheif engineer at Tycobrahe in the 70's. 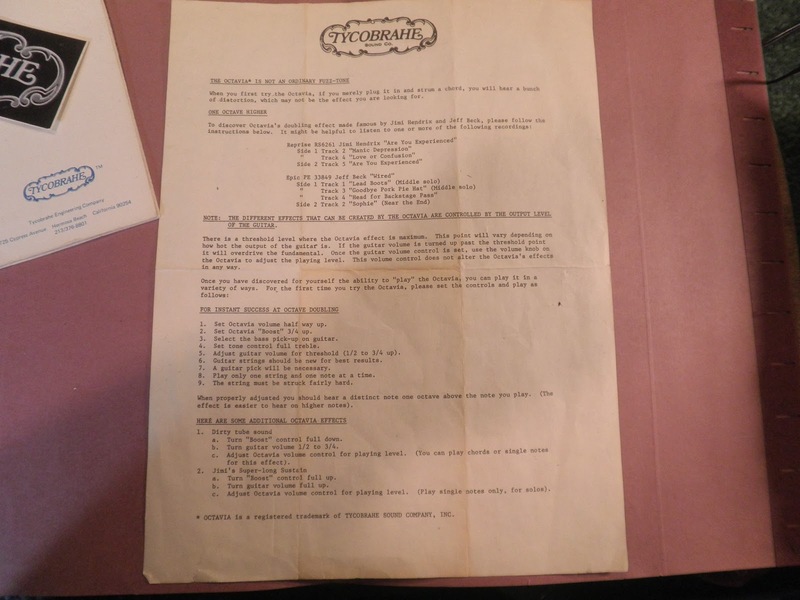 Through that association, I got to know Dirk Shubert, who was also an engineer at Tycobrahe. 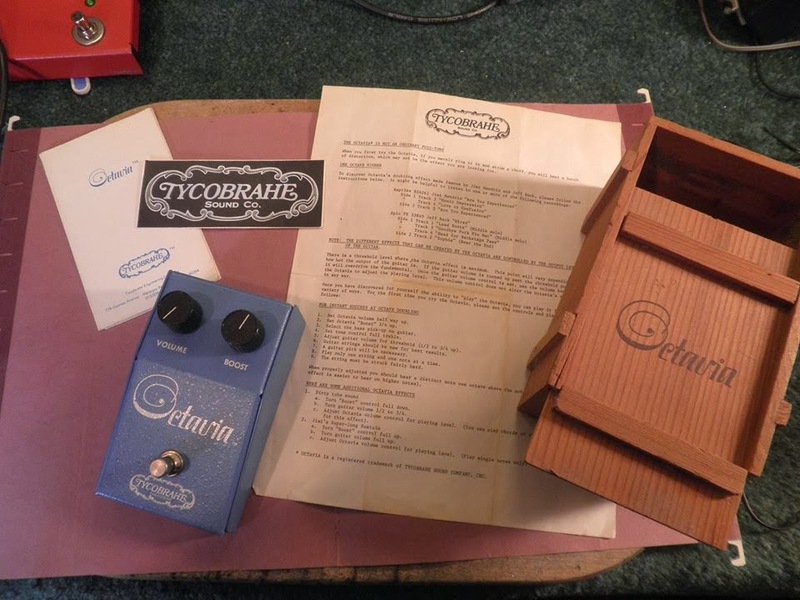 One day I did some work for Dirk and I told him about my interest in the very rare "Tycobrahe Octavia" effect pedal. A few days later a gift came in the mail. 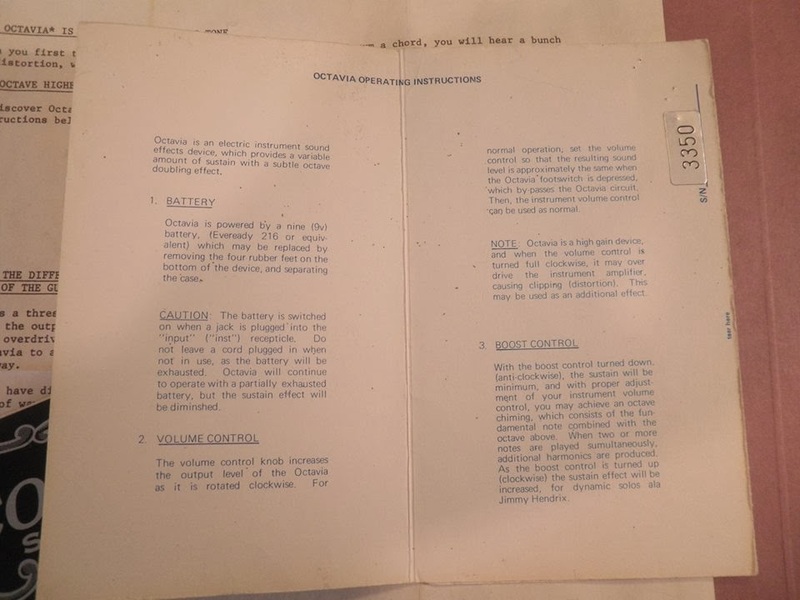 An Octavia, still in its original wooden box along with a Tycobrahe sticker, information sheet and warranty card with instructions. and Thank you for checking us out!